Ciara Mageean is in line to compete at the Olympic Games in Rio next year after the IAAF lowered the qualifying standard for the women's 1500m event. The benchmark has been moved from 4:06.00 to 4:07.00 as too few athletes were making the former time. Northern Ireland athlete Mageean twice ran under 4:07.00 in Italy in September, as she brought her personal best down to 4:06.49. The Portaferry woman, 23, has suffered an injury-affected couple of years. Her personal best performance in Rovereto in September cut .05 off her Northern Ireland record. The County Down athlete opted not to compete at the World Championships in Beijing as she continued her comeback. Mageean won a superb world junior 1500m silver medal in 2010 but her hopes of competing at the London Olympics in 2012 were ended by a foot injury. An injury in her other foot caused her to miss this year's European Indoor Championships in March and she was only able to return to major competition in the latter part of the outdoor season. However, her form over recent months indicated that she was on course to qualify for the Olympics in Brazil. The Rio qualifying standards were also amended in a number of other events and Kilkenny athlete Ciara Everard is also set to benefit from the IAAF's decision with her 800m time of 2:01.21 set last May also within the new mark for the event. The Olympic Council of Ireland will have to officially ratify the amended standards but this is likely to be a formality so Mageean and Everard can start planning for their Rio adventure next August. 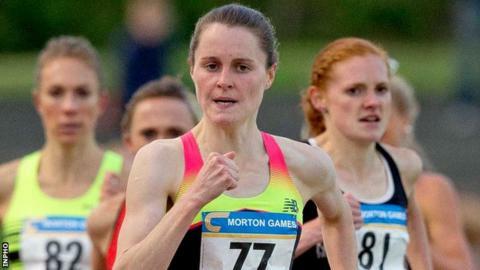 Mageean becomes the second Northern Ireland track and field athlete to qualify for the Games with her fellow county Down woman Kerry O'Flaherty already having booked a spot in the 3,000m steeplechase.